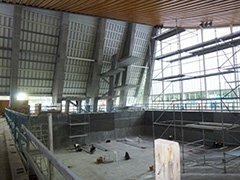 Pulsair SoftWater Landing System designs and manufactures permanent pool bubbler system for new pool construction and major pool renovations and retrofits. 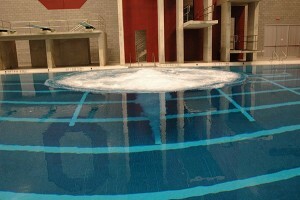 Pulsair has over 20-years experience designing diving bubbler system and we are constantly searching for new and innovate ways to incorporate high quality components that will extend the lifetime of the sparger system as well as keep the maintenance to a minimum and keep cost low. 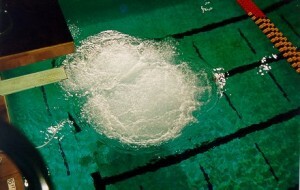 The air cushion soft water landing system is a complete solution involving a large air compressor, filters, air receivers, injection valves, controller and air diffusers nozzles. 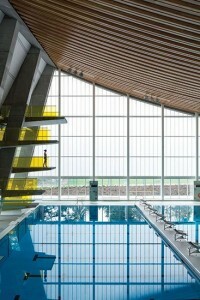 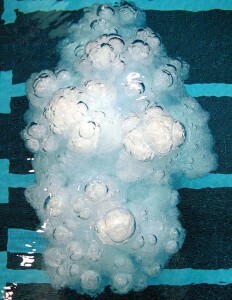 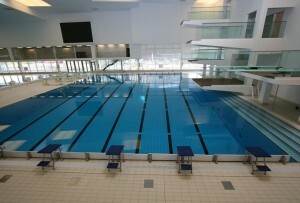 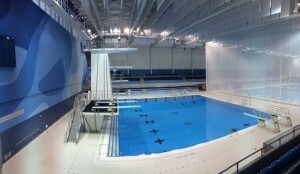 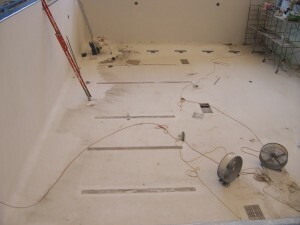 The air diffuser nozzles are typically precast in the pool floor during construction. 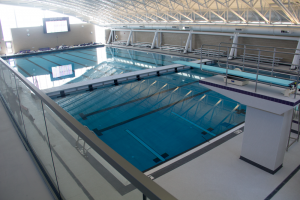 The rest of the diving bubbler air cushion sparger equipment is mounted and installed out of sight in a control room or pump located near the diving platforms and diving springboards.